This summer, Tech in Motion San Francisco gathered at Geekdom to celebrate the companies that make up a huge part of SF’s tech culture--on demand apps. In SF almost anything can be delivered--from groceries to cookies to in-home massages. Tech in Motion dove head first into the newest and hottest apps that give us instant gratification on a daily basis. Check out a Tech in Motion demo event in a city near you. 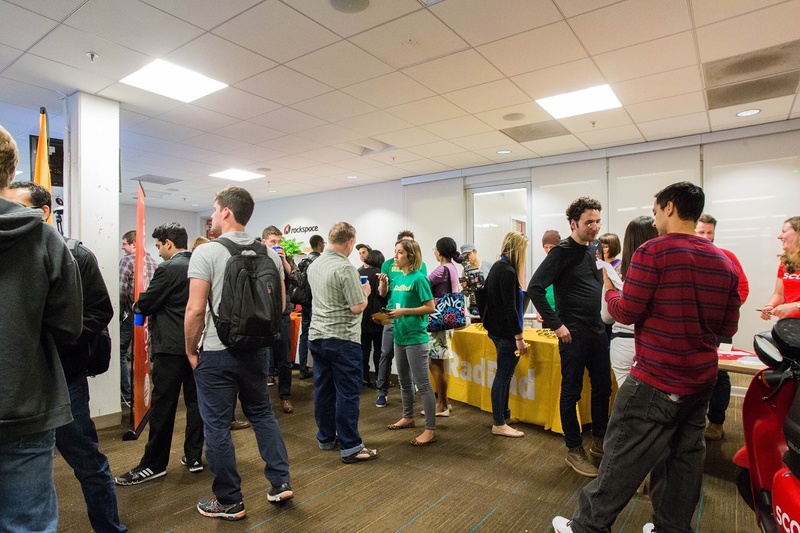 Members flooded the space around 6 p.m. and began circling the room to explore the companies demoing. They were pleasantly surprised to find a wide variety of apps ready to show off their products. Doorman - Doorman promises to make sure you never miss a package delivery again. They’re working to change the frustrating reality of mail delivery and ensure that you get your packages when you’re home and available. They gave out promo codes for delivery at the event and wowed members with their practicality. Doughbies - On demand cookie delivery. 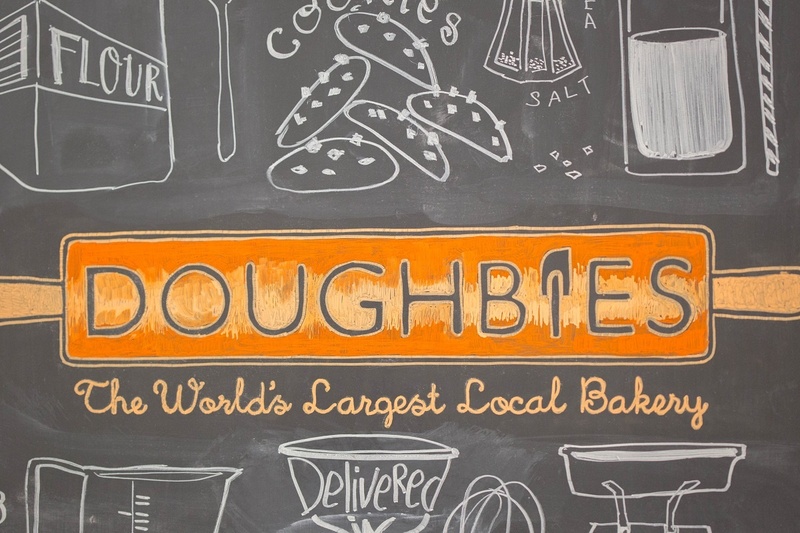 Doughbies promises homemade cookies within 20 minutes. They deliver to the SF area and are looking to expand as they grow. The company brought homemade cookies to the event and they were quite a hit! Interested in being a demo company? Contact a Tech in Motion organizer near you. Heal - Heal is bringing back the house call. They deliver doctors to your home for $100 a visit. The best part? They can schedule appointments up until 8PM so you no longer have to miss work for a doctor’s appointment! They handed out coupons for first appointments at the event. LiquidSpace - LiquidSpace is the Airbnb for office spaces. They provide on-demand rental for workspaces and have a wide range in size, price and location. They’re located all over the world and headquartered in the Bay Area. In a community of startups and small companies they impressed the Tech in Motion members by giving them an alternative to coworking spaces. Scoot - Scooter rentals for the Bay Area. Scoot offers instant access to scooters that allow anyone to zip around San Francisco. Each scooter comes with a helmet and classes are offered to teach first timers how to drive their scooter. The highlight of their booth was the full size scooter displayed for members to admire. 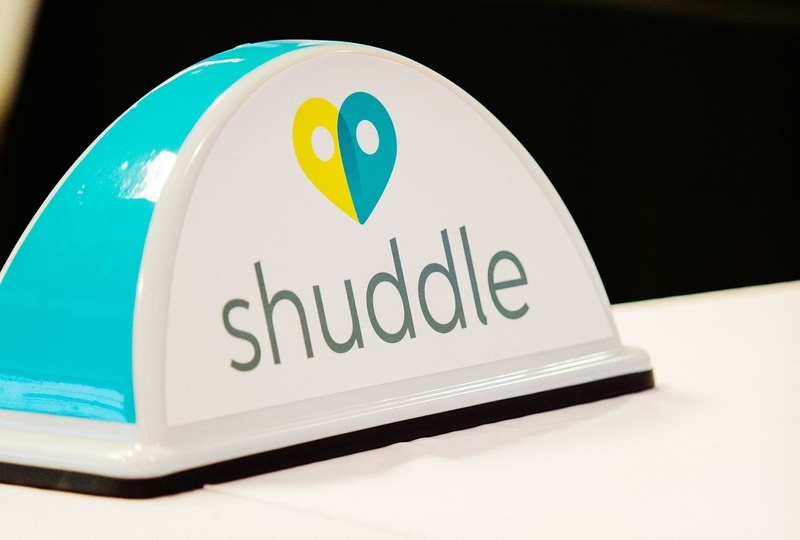 Shuddle - Shuddle offers an Uber-like service for kids. The company provides background searched drivers to parents to drive their kids to and from activities. Rides are scheduled ahead of time, can be tracked in real time and each driver has prior experience working with kids. Shyp - Shyp is working to make the shipping process easier overall. They will ship anything to any destination. They pick up items and pack and ship them to give a seamless shipping experience. The highlight of their booth was a promo code and exclusive Shyp SF bags. Social Print Studio - Social Print Studio specializes in transforming Instagrams into printed materials. They give instant access to photo books, magnets and more. They make great gifts for the Instagram lover! Their booth had promo codes and colorful photos of cats in space. VetPronto - The on-demand service made for pet owners. VetPronto offers house veterinary appointments for animals of all shapes and sizes. Rather than dragging sick animals into the car, the service is delivered to your house when it is convenient for you. The highlight of their booth was branded doggy bags. Zeel - On-demand massages. Zeel brings hour massages to the home or the office. They do specials at work and home including group sessions and couple massages. They’ve become very popular with the startup scene in SF and even brought a massage table to the event! SF Tech in Motion members were impressed with the ten demo companies present at the event. Each app proved to have a different purpose and idea behind them. When a handful of attendees were asked which table was their favorite, the answers were all over the board--every startup was mentioned at least once among the favorites. As the night came to a close, members gathered up the last of the snacks, drinks and freebies. They traded contact info with the other members and left with new apps on their phone - and a renewed appreciation for the on demand culture. Don't miss San Fran's next event August 20th: One Giant Tech Mixer.